Habitat: Desert. This wildflower grows on rocky slopes. 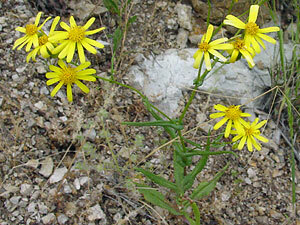 Description: The flower heads are 1 1/5 inches (3 cm) wide with orange yellow disks and bright yellow, round-tipped rays. The leaves clasp the stems and are dark green, alternate, toothed, and lance-shaped. 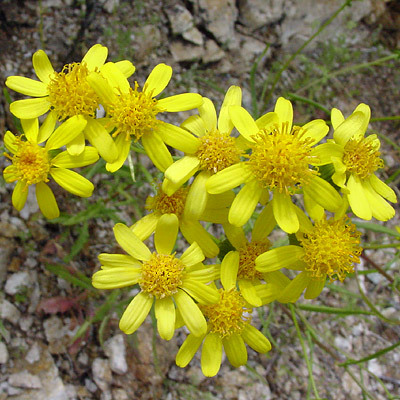 The stems are upright, highly branched, and reddish at the base.